Every once in a while I'm looking for just that perfect video to go along with our homeschool lesson for the day- a documentary, the explanation of a math concept, a science experiment performed. There are sites where I can pay a subscription fee and have access to educational videos, but most of them can get pretty pricey. And when I'm not using it on a regular basis, it's not really worth it for me to pay. Quite accidentally I discovered some time ago that YouTube can be a tremendous resource for educational videos. Yes, there is occasionally junk on the site; and yes, you need to be careful when you are searching because inappropriate videos are sometimes included in the lineup. But, often, I can find just what I'm looking for when I need a video for a particular topic. In this post, I'm sharing some of the best YouTube resources I've found for a variety of academic sources. Smithsonian Channel- This channel is actually a resource for many of these academic areas. The videos cover topics such as history and science as well as everyday cultural interests. The videos are educational and family friendly. Bio Channel- The Biography Channel features the biographies of historic and modern famous people. It can be a good resource for a research paper or just background information about a person of study. Liberty's Kids Fan Channel- This channel is a collection of the Liberty's Kids American history episodes. National Geographic Channel- This channel gives information about our planet with short and full-length videos. NASA Channel- The NASA Channel will interest students who want to learn more about astronomy and astronauts. There are videos from the International Space Station as well as interviews with astronauts and more. NatGeoWild Channel- This channel from National Geographic is all about animals. How Stuff Works Channel- This channel is all about explaining how normal things in the world around us work. Kids Animal Channel- This channel has videos about all things animals. If you have animal lovers in the house, they can learn about and enjoy animal watching here. This playlist has some great phonics/early reading videos. Grammaropolis- This channel has cute, animated videos that teach grammar and parts of speech. This playlist has some fun videos for learning grammar rules. The Math and Learning Videos 4 Kids Channel has animated videos that teach preschoolers through elementary schoolers math concepts. This playlist has a collection of learning songs, many of which are math related. Free School Channel- Although this channel does have videos focused on art and music, there are also videos for science and history occasionally as well. TedEd Channel- I really enjoy listening to and watching TED talks. This channel features all kinds of animated videos that cover educational topics of all kinds. YouTube Teachers- This channel has some great information about how to use YouTube for education. There are also educational playlists here. Crash Course- This channel offers class is science, history, psychology, economics and more. There are playlists for various classes such as ancient history. This homeschooler's channel has some great educational playlists. Teacher Tube Studios is another channel created for parents and teachers. It offers a variety of educational videos and playlists. eLearnin- This channel has a wide variety of videos and playlists for learning. Kahn Academy- This channel, from the Kahn Academy website, has a sampling of the educational Kahn videos. This playlist is an awesome collection of the popular Schoolhouse Rock songs that teach math, science, history, and language arts with catchy songs. YouTube can be an excellent place to find educational videos that fit with any topic you're learning about. 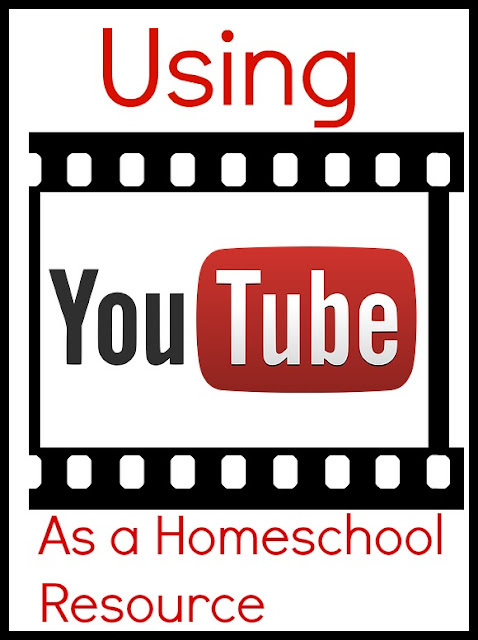 Always search with some caution and pre watch videos before using them with the kids, and you can very successfully use YouTube in your homeschool classroom.